Jessica Hardin advises clients on a wide variety of matters related to wealth transfer, asset protection, tax planning and charitable giving. She develops wealth transfer plans that minimize transfer and income taxes while meeting clients' non-tax goals. Jessica assists individuals and families with sophisticated strategies that include gifts and sales to irrevocable dynasty trusts, grantor retained annuity trusts and irrevocable life insurance trusts. She also assists closely held businesses with tax-efficient ownership succession plans. Jessica serves as counsel to fiduciaries throughout the probate or trust administration process. She prepares gift, estate and fiduciary income tax returns and represents clients before the IRS. Jessica has significant experience with the administration and modification of irrevocable trusts. Jessica is a frequent speaker on topics related to estate planning, trust and estate administration, and taxation. She is a contributing author to the BB&T Estate Planning Forms Manual, a popular resource for North Carolina attorneys. Her pro bono practice includes preparation of wills and powers of attorney for first responders and Habitat for Humanity homeowners. Prepares United States Estate (and Generation-Skipping Transfer) Tax Returns. Prepares United States Gift (and Generation-Skipping Transfer) Tax Returns. Prepares U.S. Income Tax Returns for Estates and Trusts. Represents trust beneficiaries in obtaining judicial modification and nonjudicial consent modification of irrevocable trusts. Represents trustees in modification of irrevocable trusts via statutory decanting power. Drafts comprehensive estate plans, including wills, revocable trusts, financial powers of attorney and health care powers of attorney. Drafts irrevocable trusts, including life insurance trusts, grantor retained annuity trusts and qualified domestic trusts. Assists clients with formation and governance of private foundations. Analyzes beneficiary designation and tax issues associated with retirement benefits and life insurance policies. 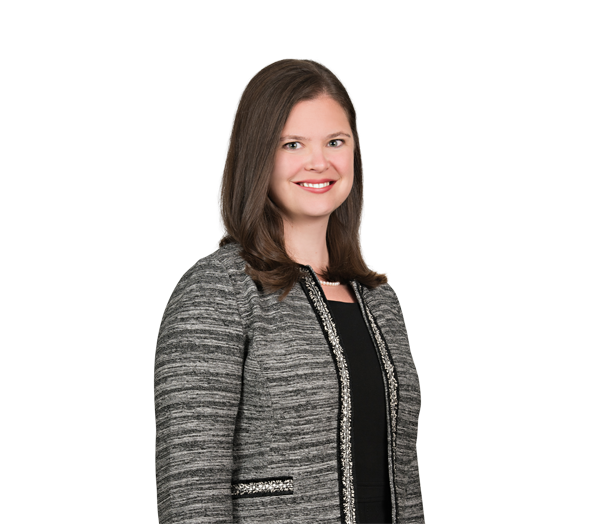 Jessica Mering Hardin Quoted in The Charlotte Observer on "Last days of life"